Welcome to The Nail Spa! Located in the city of Greeley, The Nail Spa is the premiere destination for all your pampering needs. 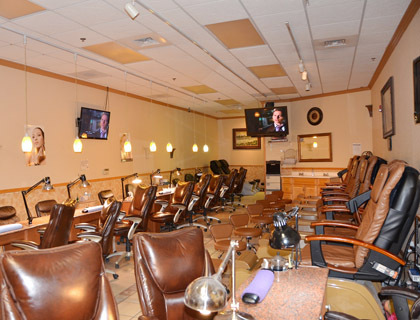 At The Nail Spa, you can expect star treatment in a relaxing and charming environment. We also expertise in nail art and design. From the modern spa chairs, ambient lighting, high quality nails and waxing services, we are confident that we have everything it takes to restore your energy and revitalize your spirits. Pamper yourself with a manicure and pedicure and leave our spa feeling glamorous! Our experienced staff has been professionally trained to offer unsurpassed service to our exceptional customers, so come pay us a visit and treat yourself to a luxurious and relaxing experience that you know you deserve! Founded in 2006, The Nail Spa is an outstanding spa in Greeley. We have been providing star treatment and exceptional service to the Greeley for more than 8 years. The Nail Spa has the most up-to-date chairs that provide the most comfortable spa experience and offer the highest quality nail and spa treatments on the market.